They say that good things come to those who wait. Throughout our lives, we’re repeatedly lectured about the benefits of delayed gratification. Google the concept and you’ll read about the importance of “impulse control” and how deferring near-term rewards to a later date is considered by many psychologists to be an important component of emotional maturity and intelligence. The problem is, when you’re a powder-loving east-coast skier who a) doesn’t live within a short drive of the mountains and b) isn’t blessed with a highly flexible work schedule to allow for storm chasing, waiting patiently for a dump of snow to coincide with whichever days that you have penciled-in for skiing generally isn’t viewed as a winning strategy. To increase our odds for fresh snow, many of us go on a couple advance-booked vacations out west each season. But while the mountains out there have a better chance of providing good or great conditions on any given day, the unpleasant truth of destination-trip skiing is: sometimes you get the bear; sometimes the bear gets you. You never know if you’ll be arriving at your chosen ski area in the midst of a multi-foot storm cycle or toward the end of a three-week snow drought. To deal with that eventuality, each skier develops a personal contingency plan. Some rely on a “closest to a sure thing” approach and refuse to book anything outside the confines of Utah’s Cottonwood Canyons. Others prefer Colorado, which gets fewer big dumps, but has a reputation for excellent snow preservation. However, in addition to goosing my odds of scoring great conditions, an equally important criteria for me is avoiding big crowds that can turn each lift ride, descent, and lunch break into the skiing equivalent of a ride on New York City’s downtown 4-train during the morning rush. 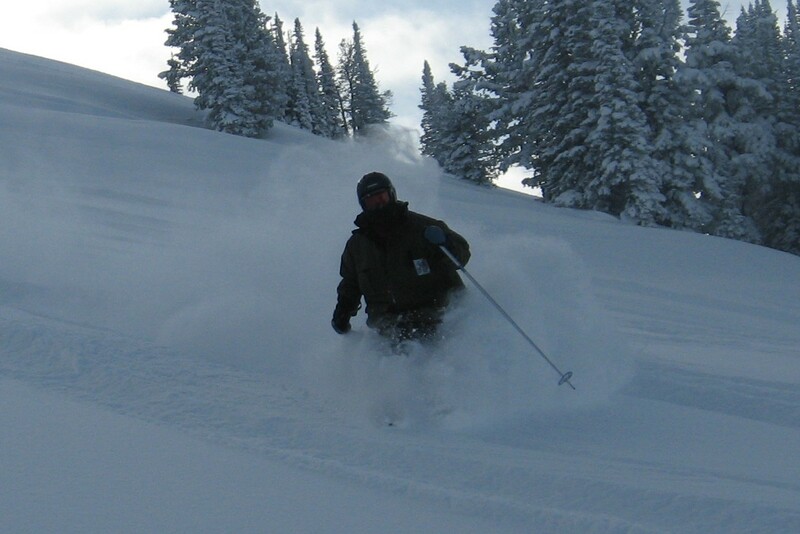 That’s why Wyoming’s Grand Targhee has made it to the upper echelon of my western hitlist. 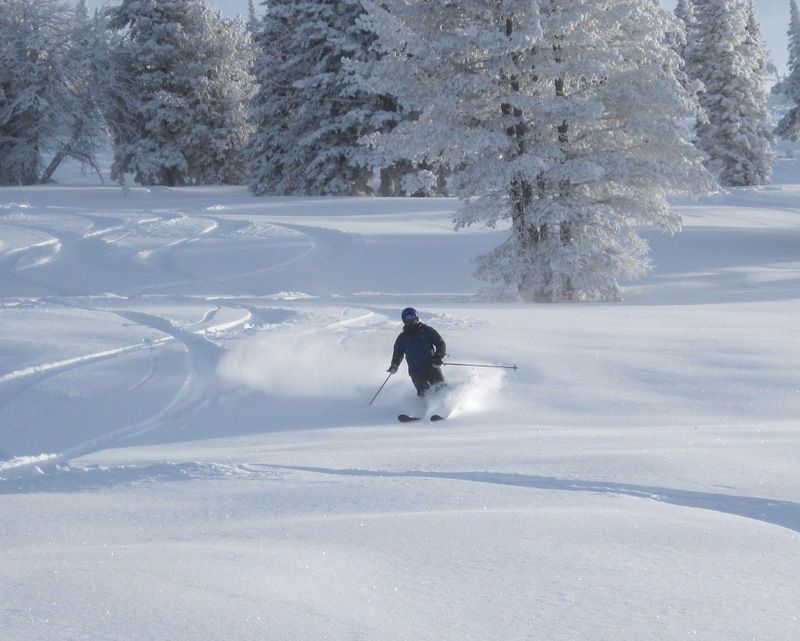 By now, you’ve probably heard why Grand Targhee has become such a powder-hound favorite — more than 500 inches of bone-dry snow each season that falls consistently throughout the season, 2,000 acres of well-pitched terrain with few if any flat spots, light crowds, zero attitude, and a small, but pleasant base village. As much as I love skiing at Jackson Hole Mountain Resort and hanging out in one of the United States’ true classic ski towns a few miles away, heading across the state line to Idaho’s Teton Valley, is, for me, where the real vacation begins. 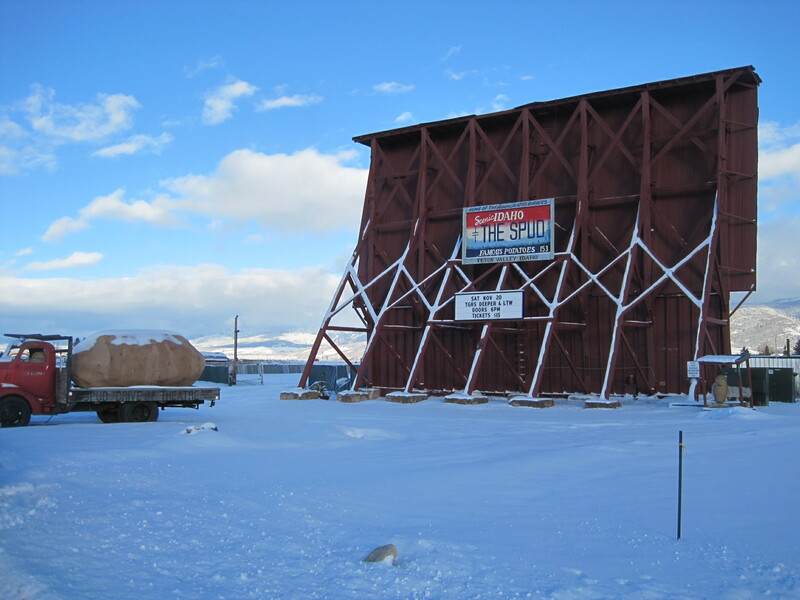 Driving over Teton Pass, past the iconic Spud Drive-In and through the towns of Victor and Driggs has come to mean one thing to me: I’ll be skiing powder soon. My recent trip there during the middle of December was no exception. After settling into a spacious one-bedroom suite at the gorgeous Teton Springs Lodge in Victor, I got chatting with Director of Guest Services Bret Borschell and Night Manager Brett Upchurch at the front desk about how they were, over the Christmas holiday, launching a unique new package for their winter guests — something aimed exactly at people who want to maximize their chances of scoring powder on destination trips (more about this later in the article). We also discussed the foot or so of fresh snow that was supposed to fall overnight. As Targhee regulars, it only took a little arm-twisting to convince them to join me for some turns the next morning. Even though we didn’t get on the lift until nearly 10 am, there were goods a plenty. 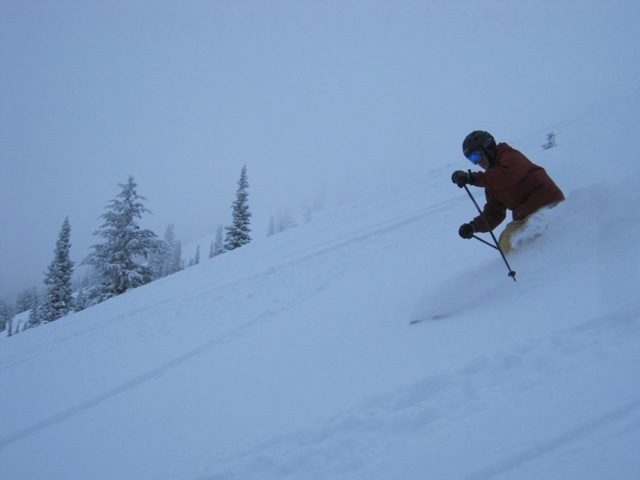 After a few runs of calf- to knee-deep turns, Bret suggested that I demo some wider planks, so a few minutes later, I found myself floating through the cold smoke in a pair of Volkl Gotamas, which were a notable improvement from my 95-waist Chubbs. Even when, toward the mid-afternoon, the upper mountain was getting tracked out from the big turnout of locals that morning, we were still finding beautiful untracked stashes from mid-mountain down and throughout the trees: a typical powder day at Grand Targhee. While demoing skis might seem to be an obvious move for most people, it brought up some issues that I’d been dealing with for years. Despite growing up and living in a culture that implores us to consume products and experiences as if our very existences depended on it, throughout most of my adult life, I always tried to exercise restraint over my base materialistic impulses — partly due to high-minded philosophical concerns and partly because I didn’t have enough money to indulge in them. That’s why, in the past, whenever I looked over at the cat-skiing terrain from the top of Sacagawea lift at the far skier’s left, I always wondered how it’d feel to be chauffeured to a reserved spot where you can do as many laps of untracked powder as feasible without having to hike or skin for them. But this time, instead of torturing myself with the psychological implications of the decision, I grabbed the last open seat on the next morning’s cat. Without going into a blow-by-blow description of every single soft turn, let’s just say that the 22,000 or so vertical feet I skied that day were borderline life-changing. It got me questioning whether, now that I’m in my mid-40s, “impulse control” is always the best way to go. Exactly when will I stop saying “Oh, I’ll get around to that eventually.” Aren’t I now at the point in my life where I should start trying to accomplish some of the items on my personal skiing wish list? I’d always thought of cat-skiing (Item 1), heli-skiing (Item 2), and spending an entire winter skiing in the Alps (Item 3) as things that other people — the rich, the famous, those who didn’t have to work for a living — undertake. But after my incredible day of cat-skiing, I started wondering if it was time to reevaluate my playbook. If I had only scheduled my trip for a couple weeks later, it’s very possible that I would have scratched Item 2 from my list. 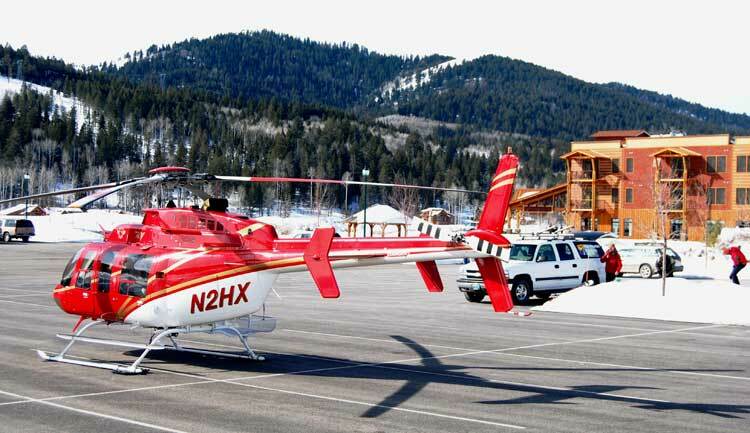 Check this out, High Mountain Heli Skiing — which accesses more than 300,000 acres of terrain south of the Jackson Hole Mountain Resort, including all of the Snake River and Palisades Mountain Range and a bunch of sites on the Idaho side — has moved the majority of its operations to the Teton Springs Lodge. This means that the helicopter picks you up first thing in the morning and drops you off at the end of the day IN THE HOTEL PARKING LOT. In addition to the convenience factor, how’s that for something to brag about to your friends back home? Who knows, now that I’ve made inroads toward addressing my longtime “wait-until-later” mental block, my next trip to Teton County may include me rolling out of bed one morning, walking out of the hotel in my ski boots, and hopping in my awaiting helicopter. Hey, a guy can dream, can’t he? Sweet article James. I’ve always been partial to Wyoming as that’s where my family is from! Yeah, Targhee is The Great Escape, no? Interestingly, I have a cat trip on the books for March. It’s not a 100% deal yet and if it doesn’t work out, it’s a trip to WYOMING for me. Thanks for taking the time to write! Nice report James. Never got to Targhee. But I have gone cat skiing and I understand the allure. While Heli-skiing may be the ultimate ski adventure, I find with cat skiing you get about the same amount of skiing in at a fraction of the cost. I also like the camaraderie that develops with the group in the snow cat on the way up each time. It gives you time to regroup, refuel and adjust your layering. 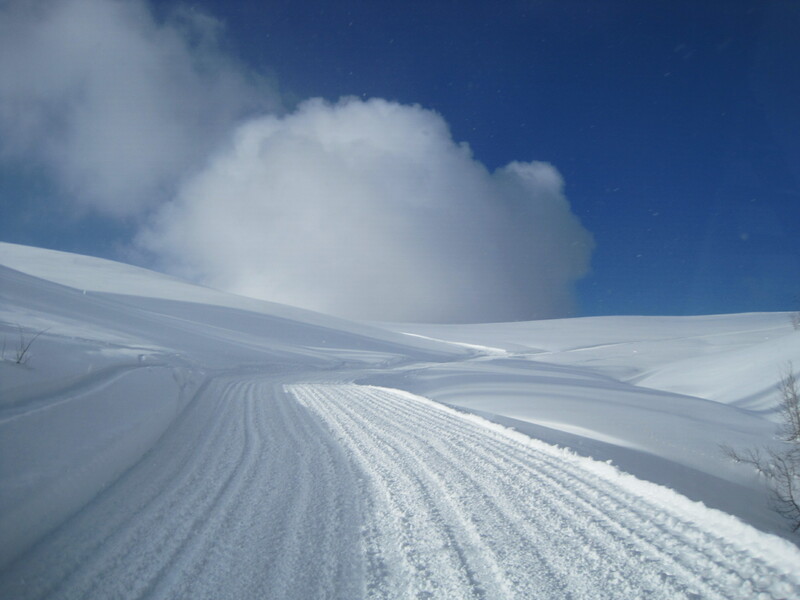 My next ski trip I am planning on a day of cat skiing. I am like you when it comes to ski areas. I would prefer the smaller ski area with more terrain and fresh snow opportunities than the big resort where there is a lot of competition for first tracks on a powder day. It’s like the difference between Alta/Snowbird vs Powder Mountain. But the trade-off is typically the challenge of the terrain, but that is often worthwhile, especially if you have a week somewhere to enjoy the best of both. 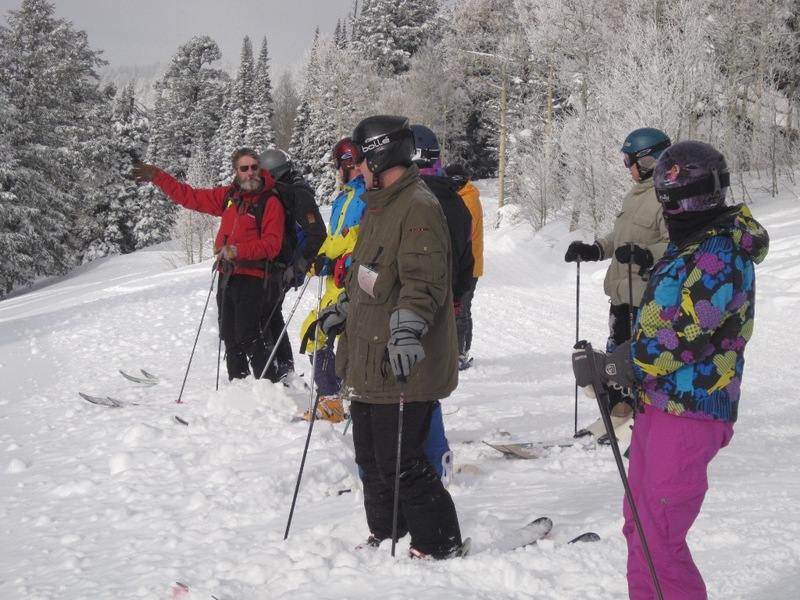 Been to jackson hole a couple times which is killer… last time we took the targhee shuttle from the village and had big snow at targhee. terrain isn’t steep like jackson, but better snow. we’d def go back. the wives liked it because at jackson, they think it’s too steep! jackson has lots of restaurants and stuff, wonderin if they’d get bored staying in Idaho? once, we stayed at four seasons at the village, wow, nice! jackson has lots of restaurants and stuff, wonderin if they’d get bored staying in Idaho? once, we stayed at four seasons at the village, wow, nice! No question that Jackson’s restaurant selection is extensive and has a really high energy level. But those are the reasons I like going across Teton Pass. Grand Targhee’s vibe is really relaxed compared to JH, and so are the towns of Driggs and Victor. They both feel like low-key towns rather than a tourist destination — places where you can just hang out and keep a low profile; however, over the last few years, they’ve developed a small, but decent choice of restaurants. I had great meals at Teton Thai in Driggs and Spoons Bistro in Victor. I’ve only been in the Four Seasons bar, so I can’t comment on the actual hotel, but Teton Springs Lodge has beautiful rooms, a very nice on-premises restaurant, and a spa that my wife would’ve happily spent a day or two in. So the “which side of Teton Pass?” question is apples and oranges, both in skiing and the day-to-day experience. Or you can try my method, half of the week in Jackson, half of the week in Teton County. Wow, James, excellent TR and beautiful ski location, good choice. Maybe you should start buying lottery tickets! Then you could afford all the heli and cat skiing you could handle. I was checking out the heli packages. Two days of heli-skiing, one day of cat-skiing, two days of lift-served, and six days of deluxe lodging for $3000. Seems like a reasonable price for a “border-line life changing” experience. Let’s face it, it’s what every boy wants for Christmas.